We're all Paul Harris Fellows here! We are proud to announce that, as of today, our club membership is 100% Paul Harris Fellows! 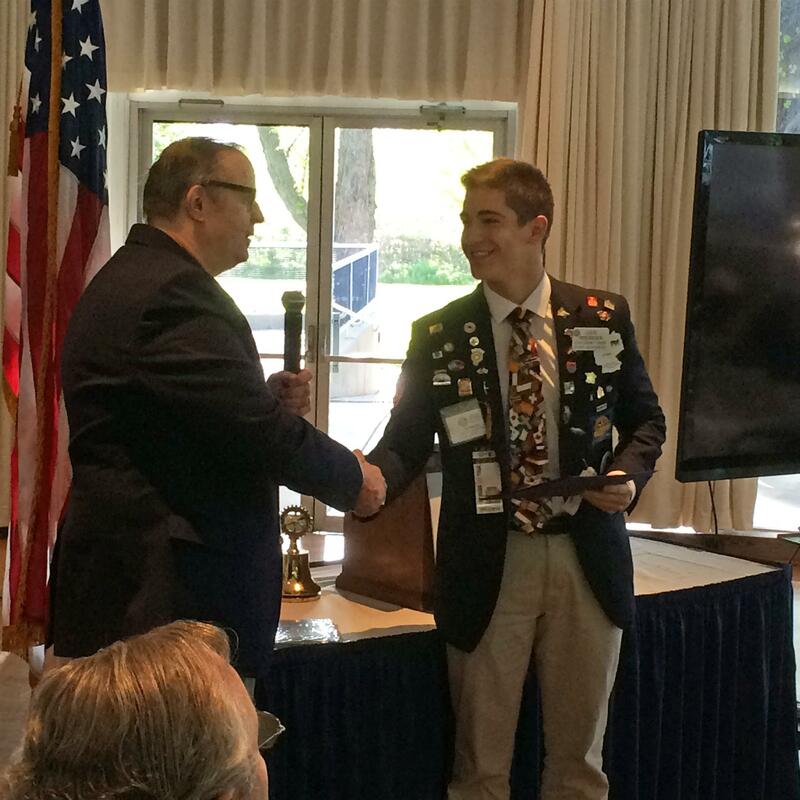 Here is our exchange student, Jan Roessler, receiving his Paul Harris certificate and pin today from our Rotary Foundation president Larry Kuhl. Named for Rotary International founder Paul Harris, the Paul Harris Fellow recognition acknowledges individuals who contribute, or who have contributions made in their name, of $1,000 to The Rotary Foundation of Rotary International.